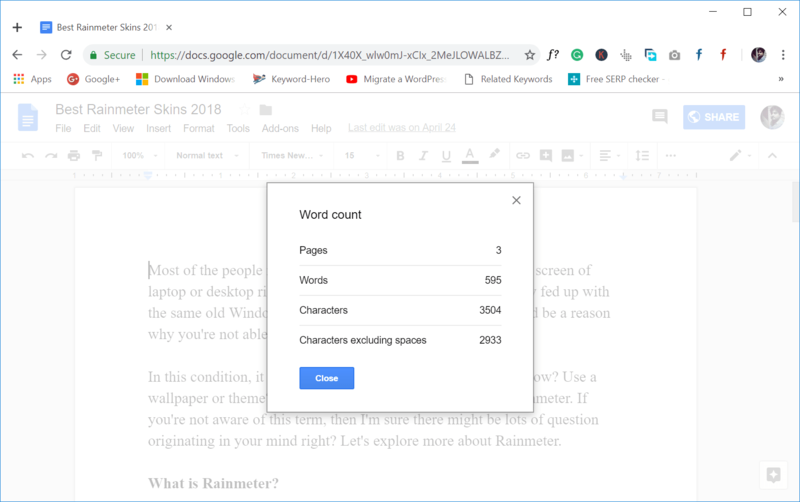 How to check word count on Google Docs? If this is the question whose answer you need, then this blog post is dedicated to you. 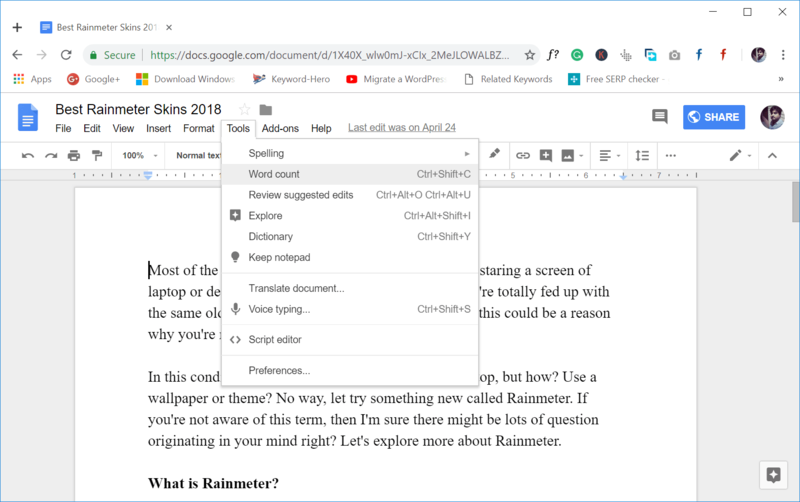 Google Docs is an excellent alternative to MS Word. It doesn’t offer all the tools as by MS Word offer, but still it far better than other options available in the market. MS Word has a live word counter that gives an idea of how many words were written in the document. Normally it is available at the bottom left corner of the screen. Luckily, Google Docs also has the same tool but hidden inside the settings and to use it; the users have to access it manually. From the menu bar available at the top, click on the Tool and select Word count. Alternatively, you can also take help of CTRL + SHIFT + C keyboard shortcut to bring the same word count dialog box. You need to select the section or paragraph of which you want to calculate the word count. After that, again click on the Tools -> Word Count. This will again give you all the information as we discussed above. 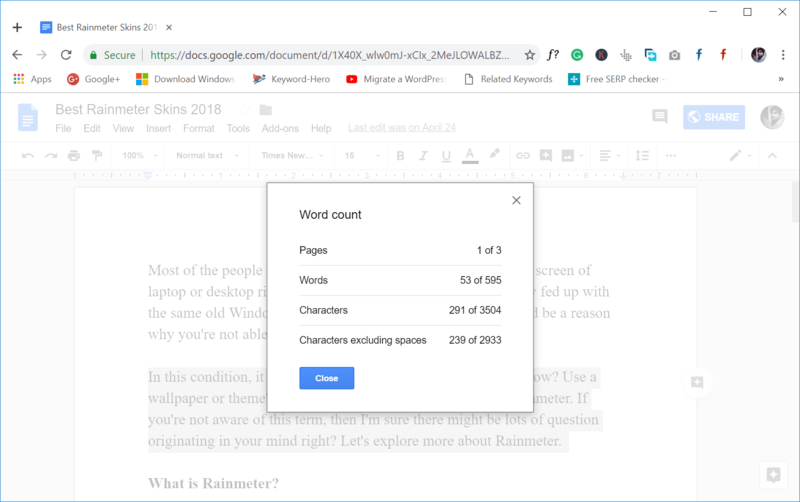 It is visible in the screenshot that I have a selected second paragraph of my Google Document and by that paragraph, the Word Count tool is showing the information. Don’t forget that, CTRL + SHIFT + C keyboard combo also work for this part condition too. Isn’t using a Google Docs Word Count tool super easy? Yes, it is. 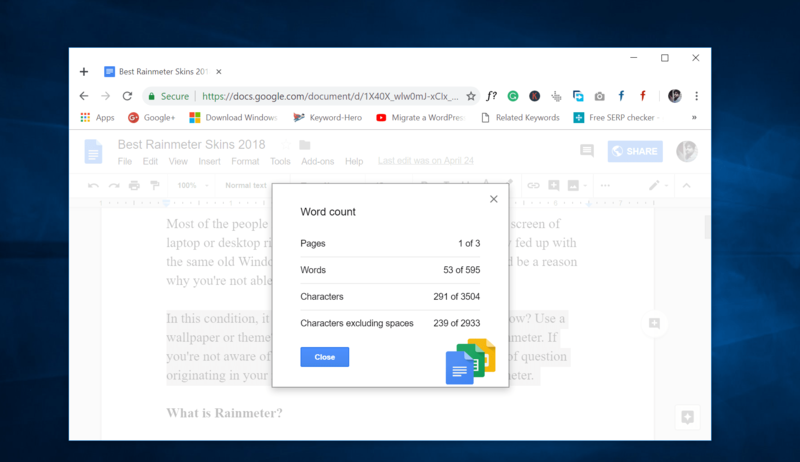 In case, you want to include MS Word live word counter on Google Docs for chrome; then you can take help of handy Google Chrome extension named as Better Word Count. Once you’re done with the installation, it will automatically open the Google Docs and ask for your permission, click on the Continue button and follow the on-screen instructions. 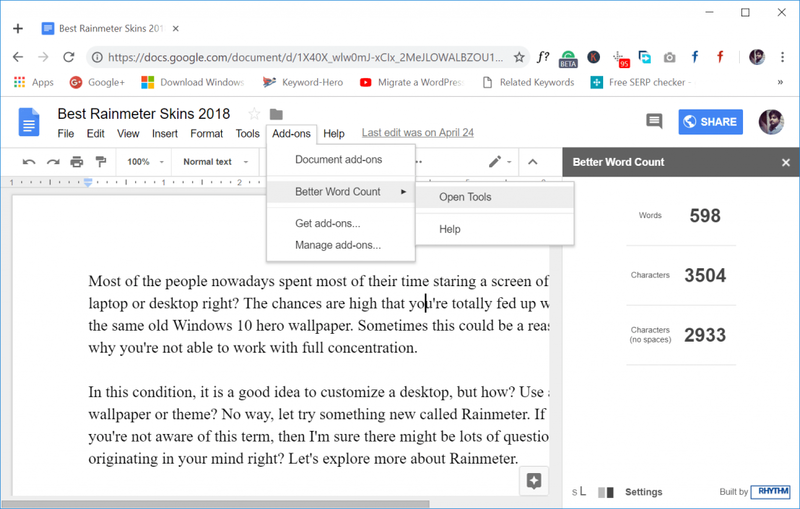 To use it, click Add-ons -> Better Word Count -> Open Tool. This will open the dialog box on the right side. Here you will find the word counter in real time. I know from now onward whenever, you typing on Google Docs, you know how to calculate word count on Google Docs.